If six different colors and styles of address markers ain't cutting it, we've got good news for you! Now you can create a virtual infinite set of custom address markers. You can choose from hundreds of glyphs, or use letters and numbers, and hundreds of color combinations. You can even change the shape of you marker icons! And you can create as many as you want! We've categorized your icons into several different workflows to help you keep your address markers organized. 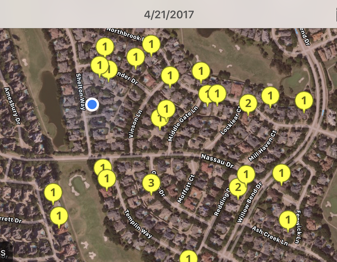 Our beta versions of Hail Recon now help automate the tracking of your canvassing efforts. In canvassing mode, all you have to do is tap each house with an icon / status, and optionally take a note. Track how many times you’ve attempted each home, and which ones you still need to knock. Hail Recon will also show you who’s working and who’s not. The canvassing leaderboard lets you drill into several metrics: Contact Attempts, Contact Made, Leads, Qualified, and Sales. Tap a metric to see the individual notes, houses / customers being worked by your entire sales team. You can even see if the salesperson was near the house when the note / status was taken. It’s the ultimate canvassing accountability tool! 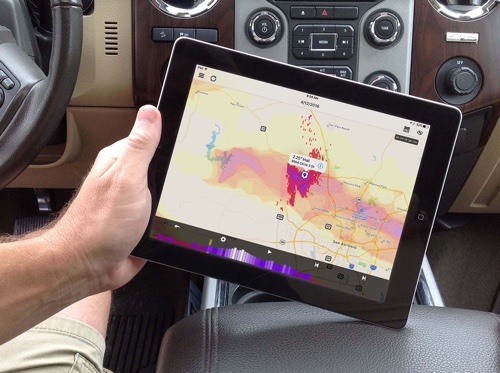 Give us a call @ (512) 994-2550 or email us at [email protected] to join the Hail Recon beta test! In the ever-more competitive environment that is the storm restoration industry, you need every possible advantage over the competition. 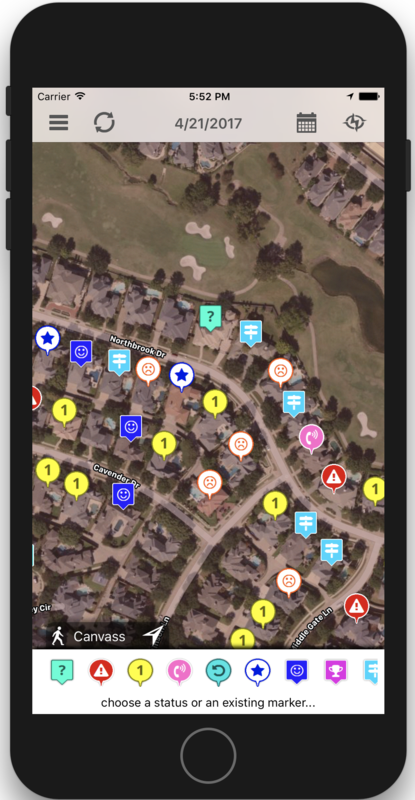 As you might have noticed in the video above, the beta version of Hail Recon now has the ability to immediately pull contact data for any house that you tap! During the beta test (ending January 31, 2018), the Contact Data On-Demand feature is free for all subscribers! After the beta is over, if you’d like to continue with unlimited contact data on-demand, simply upgrade your plan to a 3 seat plan – all the features of Hail Replay PLUS three dedicated seats AND unlimited contact data on-demand! Just navigate to the “Team Tab” on your Account Settings page, and click the “Add More Dedicated Seats” button to see your current upgrade price. We’ve created a comprehensive address marker search tool that lets you search for your markers based on Team Members, Status, Tags – anything! Click on the marker in the search results and the map will automatically be centered on that marker, showing you exactly where on the map it it. How do you balance a complex business with simple visualizations? 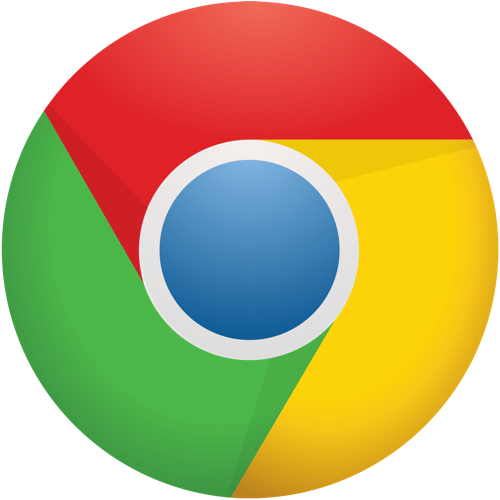 Using our new advanced address marker filtering – that’s how! With it, you can show only those houses that you need to return to, or all the markers for a specific salesman. 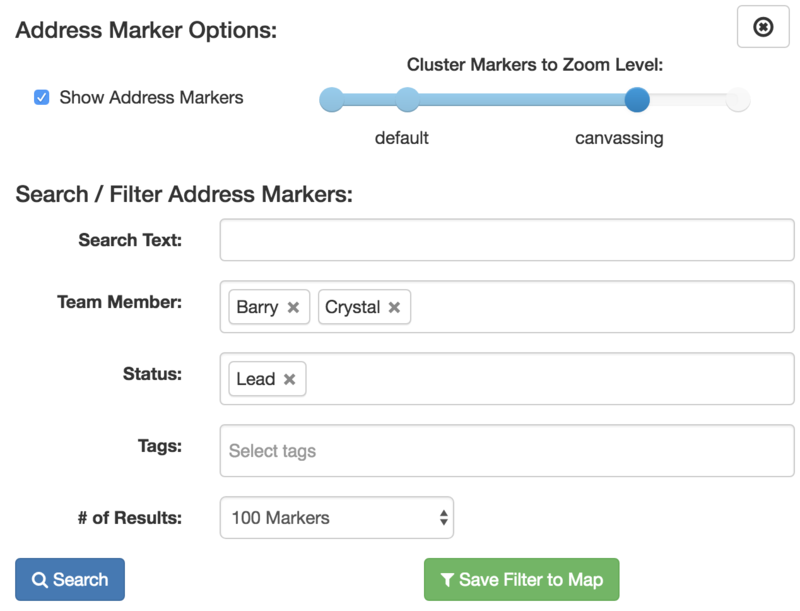 The same criteria used for address marker searching can be used to filter the markers on the map. They say that the road to success is paved with failures. And there’s no better way to learn from the past than to take good notes! 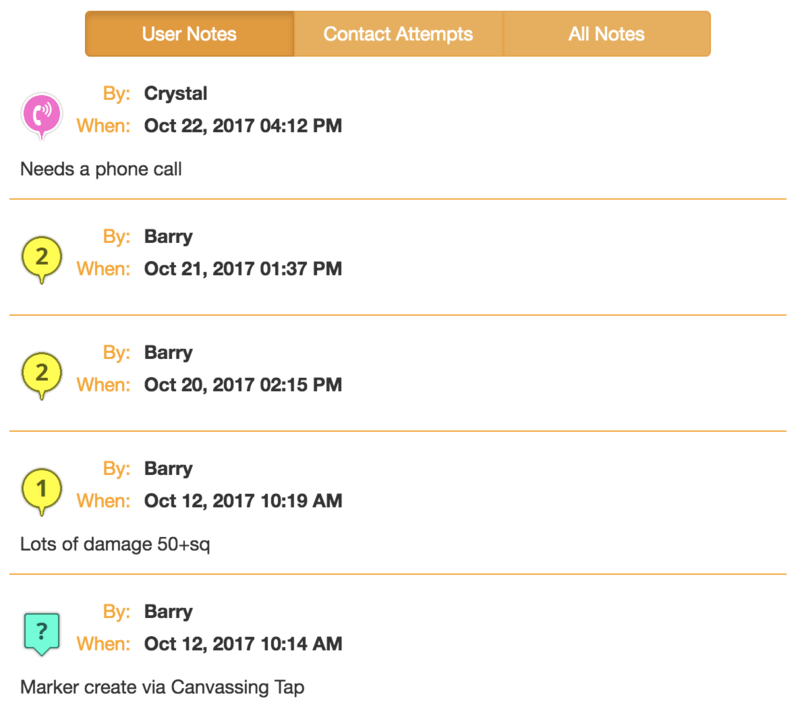 The beta version of Hail Recon allows you to easily take notes and document each contact attempt for your address markers. See which times of day and days of the week are working for a particular neighborhood, and guide you salespeople to focus their efforts to what works. It takes a couple more hoops to jump through to get on the beta for you iPhone and iPad. Give us a call @ (512) 994-2550 or email us at [email protected] and we’ll get you started!